Why are Hallelujah’s BarleyMax Products Our Best Sellers? The results are in. Month after month, our BarleyMax products are number one among our many customers. And our customers are some very smart people. So why do they consider our BarleyMax organic powders to be among the best supplements, and why is barley in particular so beneficial to your health? First and foremost, besides their fresh and delicious taste, our barley juice based products are great examples of one of Hallelujah Diet’s core principles: most supplements aren’t organic or alive. But the barley juices made from the BarleyMax organic powders contain living nutrients that are readily absorbed by the body. Why is that important? The body needs living nutrients to reverse the DNA damage that can lead to a wide variety of diseases. And warding off disease is the main reason why more and more health-conscious consumers turn to barley grass juice when in search of healthy food. Many health experts believe that many diseases including cancer begin with DNA damage. Our cells are constantly bombarded with free radicals that trigger biological “rust,” causing the systems to seize up. Free radical damage plays a major role in diseases and untimely deaths. Fortunately, our bodies have three natural ways to fight DNA damage: enzymes which disarm free radicals and small molecules that absorb them, and dietary antioxidants that not only help to protect DNA, but lipids and proteins as well. A recent test revealed that BarleyMax prevents DNA damage. However, this was an in vitro experiment, so data can’t be directly applied to DNA protection in people. However, in vitro results like these with BarleyMax do correlate well with DNA protection of white blood cells in test subjects who also consume broccoli sprouts and kiwifruit juice. When combined with an optimal diet and lifestyle, BarleyMax can be part of the body’s protection against DNA damage. But What Makes BarleyMax So Special? To answer that question, we must begin with research that reveals that plants, including grass, are among the most nutrient-rich foods that are best for sustaining life. Based on studies conducted in the 1920s, Dr. Ronald Seibold reported that cereal grasses dramatically improved the health of chickens in his 1991 book, Cereal Grass: Nature’s Greatest Health Gift. In the 1930s, Dr. George Kohler at the University of Wisconsin discovered that eating grass increased fertility in animals and milk production in dairy cows. Infants of nursing women who drank milk from grass-fed cows developed more rapidly than infants who drank milk from cows that were fed winter rations. From his nutritional analyses, Dr. Seibold concluded that growing conditions have a major impact on the nutritional content of any cereal grass. 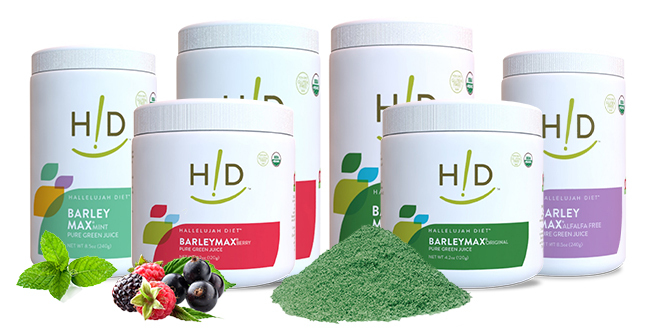 Many years later, Dr. Yoshihide Hagiwara, a world-renowned physician and pharmacist, conducted trials with over 200 plants, and concluded that barley grass was the best source of nutrients for the growth, repair and overall health of the body. It tastes good, too. That brings us back to BarleyMax. To satisfy Dr. Seibold’s emphasis on optimal growing conditions, the barley is grown in a high elevation desert climate with plenty of sunshine and controlled irrigation. The soil is slightly higher than normal in salinity, which is more effective in pulling minerals out of the soil. The grass is grown in the cooler months of spring and fall so that the plants grow more slowly and pick up more minerals and elements from the soil. The barley leaves are cut without touching the ground. The grass is quickly juiced, pressed and chilled and the juice is dehydrated using a special process that protects the fragile juice nutrients from oxidizing. CO2 is injected into the juice prior to drying and, after protecting the juice, the CO2 dissipates into gas as the drying particles fall to the bottom of the drier. The result: this unmatched process of preserving the vitamins, minerals and enzymes makes BarleyMax a genuine superfood. Look no further than the thousands of BarleyMax fans for proof of the powerful effect that living juices can have on your overall quality of health and life. Why cover up the price of Barlymax? Are you ashamed or something? I am not seeing where our prices are covered up. If you go here https://www.myhdiet.com/shop/supplements/hallelujah-diet-supplements/organic-powders/barleymax-products.html?utm_source=HealthNews-generic-sidebanner&utm_campaign=BarleyMaxstore&utm_term=BarleyMaxBanner&utm_content=Barleymax you will be able to see the prices. I am in Ghana, West-Africa, please I need Hallelujah Diet Address and current phone Numbers in Ghana or Nigeria. so that I can buy your product. I need Hallelujah diet to treat Menstruation problem, Fabroids an Infertility. Hope to hear from you soon. Thank you. We currently do not have a Health Minister at that location. You can however, place orders and receive direct assistance for our customer service department, you can reach us at 800-915-9355. Thanks so much for the help provided HD. Most times the names of fruits or vegetables used are strange to us in Nigeria or Africa, how can we be properly carried along. I need the fruits and vegetables to eat for treating liver problems, ulcer and hypertension. during the past 6 years, I have juiced per the HA diet and also, have used Barley Max. I would think super food would be very beneficial..
how much barley grass is in super food? ?